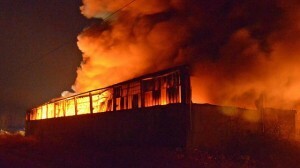 Is Lomellina a land of fires? Part 1: an overview. According to an ISPRA (Superior Institute for environmental protection and research) report of 2017, in Italy, only in 2016, something around 30 million tons of waste have been produced. This is not a surprising data, considering at the same time the increase in the consumptions (one and a half percentage point of GDP). As this report shows, moreover, half of this 30 million tons (52.5%) is disposed according to the rules of separate collection. In the North of Italy, where almost half of national waste (14 million tons) is produced, 64.6% is disposed with separate collection. Despite our country complies with EU standards (according to which at least half of the waste has to be disposed with separate collection) there are some areas that are… let’s say so, very little virtuous, where more than half of this waste is not disposed correctly. For instance, regions like Sicily and Molise respectively dispose just 15% and 28% with selective collection. This means that the majority of waste is disposed in dumps (Sicily alone has 9 of them) and even in other regions such as Calabria, Umbria, Marche and Apulia, landfilling concerns approximately half of the waste produced (source: List of Wastes ISPRA 2017). EU legislation of 2015 comprises, among other objectives, that one cannot landfill waste that needs to be separated, and this does not seem to be a problem, since in 10 years selective collection is technically doubled, going from 25.8% in 2006 to 52.6% in 2016. But mere percentages do not do justice to a reality that is far more problematic and multi-faceted, like the one, as I said, of Lomellina. From Parona, where in May and August have been two fires in a deposit of special waste, through Mortara on the 6th September 2017 (with consequent danger due to dioxin), to Corteolona on the 3rd January this year: 4 fires. “We know that probably Mortara and Corteolona fires were arson, but we cannot state anything sure about the other ones” explains Roberto Marin, president of Vigevano Sostenibile. “The truth is that, simply, we burn more than what we produce. In the district of Pavia more that 281 000 tons of waste are produced, but we don’t reach the comprised european threshold, because only 48% is disposed this way. This happens because of the incinerators becoming strategic installations (since when the “Sblocca Italia” – unlock Italy- decree has been approved), so waste does no longer have territorial constraints, and incinerators can burn garbage coming from all around Italy. Now, in Lombardy, there are 13 incinerators, 2 of which are in this district: in Parona and Corteolona. Since when the above-mentioned decree has been approved, we also receive disposal from other regions, Campania and Liguria in particular. Add to this scenery 7 dumps, active or exhausted, that still need to be managed, the biggest refinery in Europe (ENI in Sannazzaro de Burgundi) and finally an authorized absestos dump: you will easily understand why the air in the district of Pavia is with all chances the worst in the whole region”. In order to understand the situation it is better to think about the “Sblocca Italia” decree, that is to say the Article 35 of Law 133 of 12/09/2014. Waste coming from regions that are undergoing a state of emergency gives more profit, so incinerators are more than interested in burning other regions’ garbage. Added to this are stronger restrictions given by some incinerators, that make the disposal of certain types of scrap material extremely problematic. 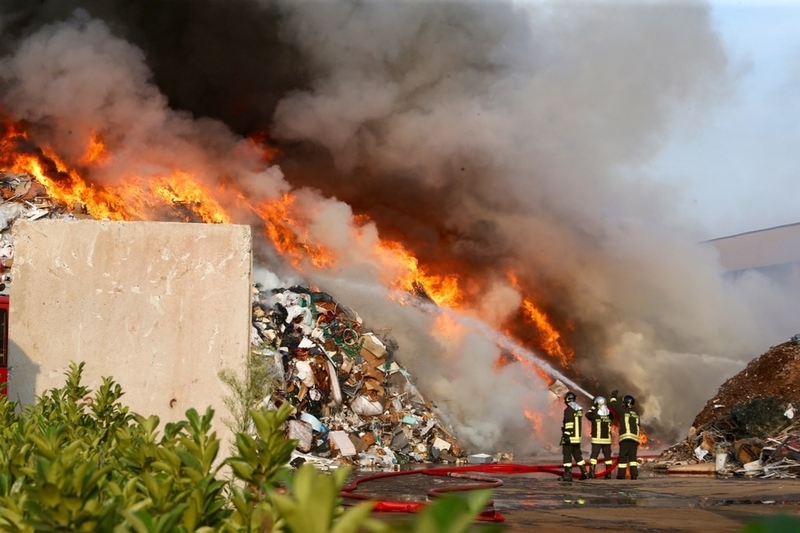 Organised crime smoothly gets its way in this scenario, managing illegal waste traffic and finding alternative ways of disposal (for instance, accumulating garbage in abandoned places, in order to set it on fire afterwards). Because of this specific reason, fires are now investigation purposes for the District Anti-Mafia Bureau, lead by Deputy Prosecutor Alessandra Dolci. One fact is sure: the air we breathe is inevitably affected by these fires, being them arson or not arson. We’re speaking about an area (Lomellina and generally the district of Pavia) where the mortality rate is 10% higher than the national average, and 13% higher than the Lombard average. Probably, to some people, comparing Lomellina to the campanian land of fires, mentioned in 2003 by Legambiente and later by Roberto Saviano, can seem excessive. I would personally hope for it to be so. But the similarities with the reality of Caserta are too many: waste that is disposed illegally, air that has been intoxicated, and general carelessness make this phenomenon too important to be hastily ignored as it was just a series of unlawful acts. Surely this can be a provocatory comparison, but it is also a serious concern for a territory from where many students of our University come. After 12 fires, you can definitely smell something burning.